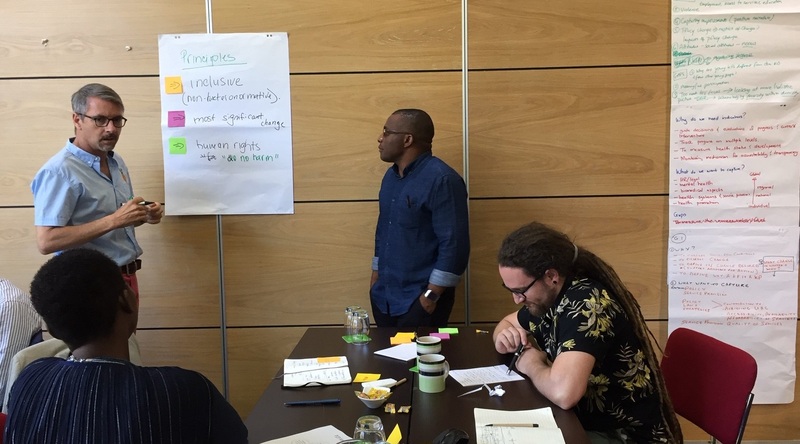 HEARD recently hosted a regional research workshop in Durban, bringing together their research partners from four African countries; Madagascar, Zimbabwe, Zambia, and Mozambique. They had the opportunity to share their baseline findings for research being carried out as part of the Linking Policy to Programming project – a joint 4-year project aimed at strengthening the legal and policy environments for reducing HIV risk and improving the Sexual and Reproductive Health (SRH) of young key populations (YKPs) in Southern Africa (2017-2020). The workshop provided a platform for the country research partners to meet for the first time, to discuss the ethical and methodological challenges in conducting research on the SRHR of young key populations (YKPs) in Southern Africa and to build onto next phase of research currently underway. Country partners include University of Zambia, University of Zimbabwe, Family AIDS Caring Trust (Zimbabwe), University of Madagascar, University of Mozambique. The workshop was also attended by HEARD’s project partners, United Nations Development Programme (UNDP) Project Partner’s and African Men for Sexual Health and Rights (AMSHeR). Also in attendance was qualitative research specialist Dr Gunilla Priebe from the University of Gothenburg in Sweden, with whom HEARD has an exchange partnership. The Linking Policy to Programming is funded by the Dutch Ministry of Foreign Affairs. HEARD at #AIDS2018: How do we achieve health equity for young key populations?